Not every dentist is equipped to offer the Geneva AutoCentric™ Denture for optimal fit, form, and function for even the most challenging cases. Dr. Scott Stewart and the team at South Lakewood Dental have the training to offer these hybrid dentures to Wheat Ridge patients and others in the surrounding area contending with poor-fitting dentures or struggling with missing or decayed teeth. Dentures have a rather notorious reputation, mainly because of poorly-fitting lower plates. Typically, upper dentures may be stabilized with the force of suction. Lower dentures are often unstable, because of the mobile tissue in this part of the mouth. As the patient eats or speaks, the lower dentures can become displaced due to the movement of the glands and muscles in the palate. This approach to denture design also creates a better fit and prevents complications such as food becoming trapped underneath the denture for many patients, including those whose tissues have resorbed over time. Over the longer term, this approach helps to keep the supportive bone strong. Conventional denture design is associated with the destructive bone loss that can result in an aged appearance, and damage your ability to pronounce words properly and chew food with ease. 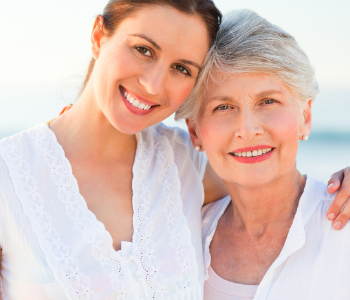 Call (855) 233-0023 and schedule an appointment to experience modern dentures at their best and healthiest.